Save nearly 40 percent off the already-low $80 list price. Even at full price, Amazon’s Fire HD tablets are known for being great low-cost options for budget-minded shoppers, but today it’s practically an impulse buy. 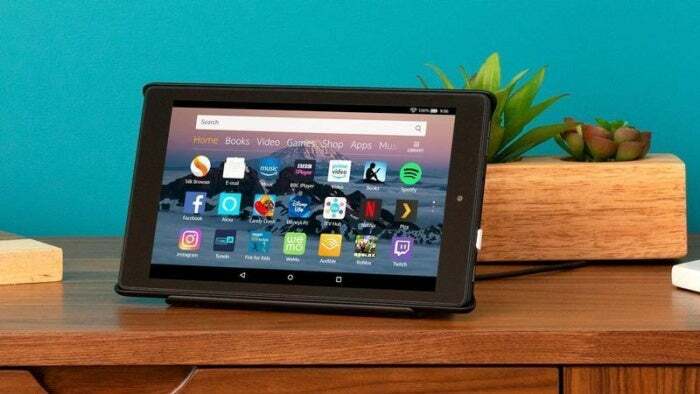 Amazon is selling the newest 8-inch version of the Fire HD tablet for just $50Remove non-product link, down from a list price of $80 and matching the lowest price we’ve ever seen. This tablet comes packed with features and apps for both work and play, including always-on Alexa. On previous tablets, you had to either plug in the tablet or unlock it to summon Alexa, but the Fire HD 8 lets you simply say, “Alexa,” to wake Amazon’s digital assistant. Additionally you can put the tablet into Show Mode (with or without a charging dock) to experience Alexa’s full visual capabilities as well. You can even make video calls using its 2MP front camera. The Fire 8 also boasts up to 10 hours of mixed-use battery life to keep it going all day, as well as Dolby Audio and stereo speakers for solid sound quality. And with 16GB of internal storage, you’ll have more than enough space for movies, books, and music, as well as any pictures you snap with its rear camera. While we haven’t tried this tablet yet ourselves, we’re very comfortable recommending it based on our experiences with previous Amazon devices. Plus it’s a hit on Amazon, with 4.1 stars out of 5 across more than 6,600 user reviews.